A Turkish court on Monday ordered the arrest of four former Israeli military chiefs over a deadly 2010 maritime assault that plunged relations between the former allies into crisis, a lawyer working on the case said. The court will ask Interpol to issue international arrest warrants for the four men, lawyer Cihat Gokdemir told AFP. Turkish prosecutors are seeking life sentences for the commanders, who went on trial in absentia in 2012. They are former military chief of staff Gaby Ashkenazi, former navy chief Eliezer Marom, former military intelligence head Amos Yadlin and former air force intelligence chief Avishai Levy. Israeli commandos boarded the Turkish-flagged Mavi Marmara, the largest ship in a flotilla dispatched by Turkish relief agency IHH to break Israel's blockade of the Gaza Strip, on May 31, 2010, leaving nine Turkish activists dead. Ankara expelled the Israeli ambassador, demanded a formal apology and compensation, and an end to the blockade on the Gaza Strip -- which is ruled by Hamas, a Palestinian militant group. IHH together with the victims' families brought a criminal case against the four Israeli ex-military chiefs after the maritime assault. Prime Minister Recep Tayyip Erdogan, a staunch supporter of the Palestinian cause, said in April he was prepared to normalise ties with the Jewish state. Authorities had said recently they were close to a deal that would see Israel pay compensation for the deaths, but Tel Aviv said this was conditional on the lawsuits against its soldiers being dropped. "We will not drop the lawsuits. We believe criminals must be put on trial," Serkan Nergis, spokesman for the Humanitarian Relief Foundation (IHH), told AFP on Monday. "Even if we do give up, victims' families will not," he said. 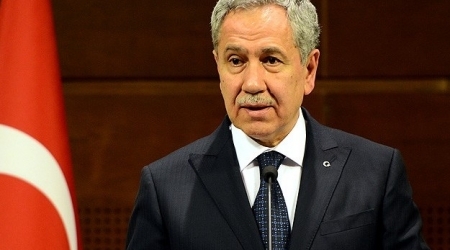 Turkish media have said that any deal with Israel would have the status of an international agreement and would give the Israeli military immunity from any liability over the assault. 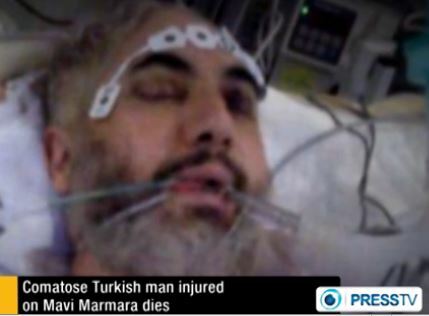 A Turkish solidarity activist died on Friday of injuries he sustained during the Israeli attack on Turkish vessel Mavi Marmara in 2010, bringing the attack victims' number to 10 martyrs. Ugur Soylemez, a 51-year-old member of the Free Gaza Flotilla, has died nearly four years after being critically injured by Israeli forces. He was in intensive care since then. Soylemez was one of the most prominent Turkish activists in support of the Palestinian issue. He took it upon himself and his family to pay part of the Turkish ship Marmara costs. Mavi Marmara was among the flotilla that was attacked by Israeli Navy Forces in international waters on May 31, 2010, as it tried to break the Israeli blockade on the Gaza Strip. Turkey-Israel relations were strained after the attack. 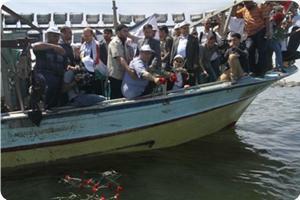 Palestinian, Arab and foreign activists took to the sea off Gaza shores on Monday morning in a marine demonstration organized by the Popular Committee against the Siege in rejection of the blockade on Gaza and to mark the anniversary of the Turkish Marmara martyrs. Several volunteers from Miles of Smiles solidarity convoy, the Jordanian and Algerian delegations, fishermen’s syndicate, and the Sailors Union partook in the solidarity cruise along with a number of foreign activists. Flowers were thrown into the sea as a symbolic gesture to commemorate the Marmara victims, who were killed by Israeli forces while on their way to bust Gaza siege. MP Jamal al-Khudari, head of the Popular Committee against the Siege, called on all Arabs to rally round the Palestinian cause, lift the siege, and backup the projected consensus government. Khudari hailed the heroic Palestinian prisoners locked-up inside of Israeli jails and the hunger strikers who sacrificed their lives and bodies to halt administrative detention. Palestinians will always fight hand in hand to lift the siege and establish an independent Palestinian state with Jerusalem as its capital. Palestinians in occupied Jerusalem have long been targeted with siege, displacement, persecution, and Judaization conspiracies, Khudari concluded. Dr. Issam Youssef head of Miles convoys hailed the Palestinian masses, who stood their ground against Israeli occupation. According to Youssef the siege shall be lifted this year and the solidarity convoys will do whatever it takes to reconstruct what has been ruined by the Israeli occupation. Jordanian delegation Chairman Kifah Amayreh, who took part in the flotilla, slammed Israel’s indifference to the murder of civilians who have come to support the besieged Gazan civilians. According to the head of the Algerian delegation Yahya Sari, the presence of such solidarity delegations in Gaza proves that attempts to lift the siege will keep on going. 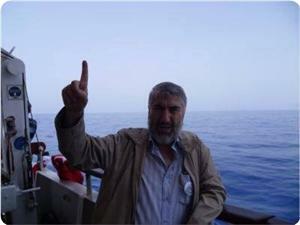 Chairman of the fishermen syndicate Nizar Ayash briefed the participants on the misfortune of Palestinian fishermen and condemned Israel’s decision to narrow down the fishing distance from 20 nautical miles, as ensured by International laws, to 6 nautical miles only, along with the arbitrary arrests and demolitions of their boats and fishing equipment. Following the press conference held on Monday in Gaza port, 31 May was declared by Issam Youssef as an International Day for the Freedom of Gaza and 2014 as the Year for Lifting the Siege. “We shall never give up our solidarity convoys until the end of the siege and occupation,” declares Youssef. Youssef concluded by highlighting the weight of resistance, in all of its forms and means, as Palestinians’ legitimate and inalienable right, as has already been laid down by the UN. Dozens of Palestinians and Arab activists Monday marked the 4th anniversary of the Israeli massacre on board the Turkish vessel of Mavi Marmara in the international waters, staging a march of boats. Members of Miles of Smiles and Lifeline convoys, which accessed the Strip on Sunday evening, participated in the event, organized by the Popular Committee to Break the Siege. They raised Palestine and Turkey flags and banners calling for the international community to lift the Israeli siege on Gaza which entered the eighth years and turn to the humanitarian situation of Palestinians there. The participants also urged the governments in Gaza and the West Bank to put the utmost effort to end the internal division, which is of interest only to the Israeli occupation. Head of the committee, Dr Jamal al-Khodari said in a press conference prior to the march start that the presence of multi-national Arab activists signifies the popular Arab patronage of the Palestinian cause. He pointed out that the Israeli blockade affects all segments of the society in Gaza: the children, the infants, the women, and denies them basic life needs of electricity and water. Spokesman for the Miles of Smiles (27) convoy Essam Youssef said May 31 will be international world day of freedom for Gaza and 2014 will be the year for freeing Gaza from the blockade. The Palestinian people would not triumph over the occupation without unity, he added, asking the Palestinian Authority to unify the efforts in order to achieve unity. Head of the Jordanian ‘Lifeline’ convoy Kefah Amayreh said these convoys are an expression of solidarity with the steadfast citizens of the Gaza Strip. MP Jamal al-Khudari, head of the popular committee against the siege, announced the forthcoming initiation of a series of popular and institutional events so as to demand lifting the siege imposed on the Gaza Strip. Khudari said in a press conference the events coincide with the fourth anniversary of the Freedom Flotilla, attacked by Israeli navy in international waters during which 9 volunteers on board were killed while more than 26 others were left wounded. The conference included “a signature campaign” for the urgent lifting of the siege. Khudari further confirmed the need to hold these events and activities simultaneously in different Arab, Islamic and foreign countries under the slogan "Freedom for Gaza and Palestine." The signed petition will be submitted to the UN Secretary-General Ban Ki-moon, the permanent members of the Security Council, the European Union and Parliament, Secretary General of the Arab League Dr. Nabil Al Araby, and the Secretary General of the Organization of Islamic Cooperation Iyad Madani. According to Khudari, Israeli Judaization schemes set against Occupied Jerusalem, the West Bank settlement and wall policies, along with the displacement of the 48 occupied Palestine natives, have all been, literally and metaphorically, part of the Israeli siege policy directly embodied in the Gaza Strip blockade. The daily average per capita income in the Gaza Strip is estimated at 3% only of the Israeli daily per capita income, with 75 dollars a month for Gazans as opposed to 2,500 dollars for Israelis, almost 33 times higher. Khudari drew attention to the need to open all Gaza commercial crossings and a passageway connecting Gaza and West Bank, along with the reconstruction of the Gaza International Airport and the building of the Gaza seaport. Khudari further called on for the need to allow all supplies, including building materials with no predetermined restriction lists, smooth access out of and into the Gaza Strip. Turkish Prime Minister Recep Tayyip Erdogan is not intended to visit the Gaza Strip in the near future, Turkish deputy prime minister Bolnnet Arentich said yesterday evening. 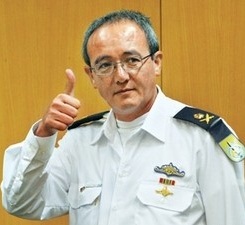 Arinch explained in a press conference that negotiations with Israel regarding victims of Marama flotilla incident are progressing positively, but didn’t arrive to stage of signing a deal, according to Anadolu Agency. 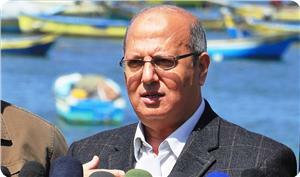 He also expressed the Turkish government hope to reach a final agreement with Israel very soon. Erdogan had declared in July last year his intention to visit Gaza but it didn’t take place due to the ousted of the Egyptian president Mohammed Morsi.